Our daughter Lindsay and husband Chas were ready to go the Weeping Willow in downtown Thibodaux for lunch this Saturday and then make supper at Cristiano’s in Houma. My wife Jo and I and friends Gavin and Dolly Callais decided to join them. This was their go-to place to eat on Saturdays when they lived in Thibodaux. This place with its high ceilings has a great laid-back vibe with it being a coffee shop and restaurant. The architecture of the place and the buildings around it have a very New Orleans feel. The restaurant has artisan sandwiches, with bread made on the premises, great soups, specialty teas and coffee, and a great selection of homemade pastries. Their club and muffaletta sandwiches are very good, but their Willow is definitely the show-stopper. This sandwich has ham, turkey, Swiss cheese, homemade pesto, and Caesar salad on toasted sesame bread. The soup of the day was a tomato basil soup. 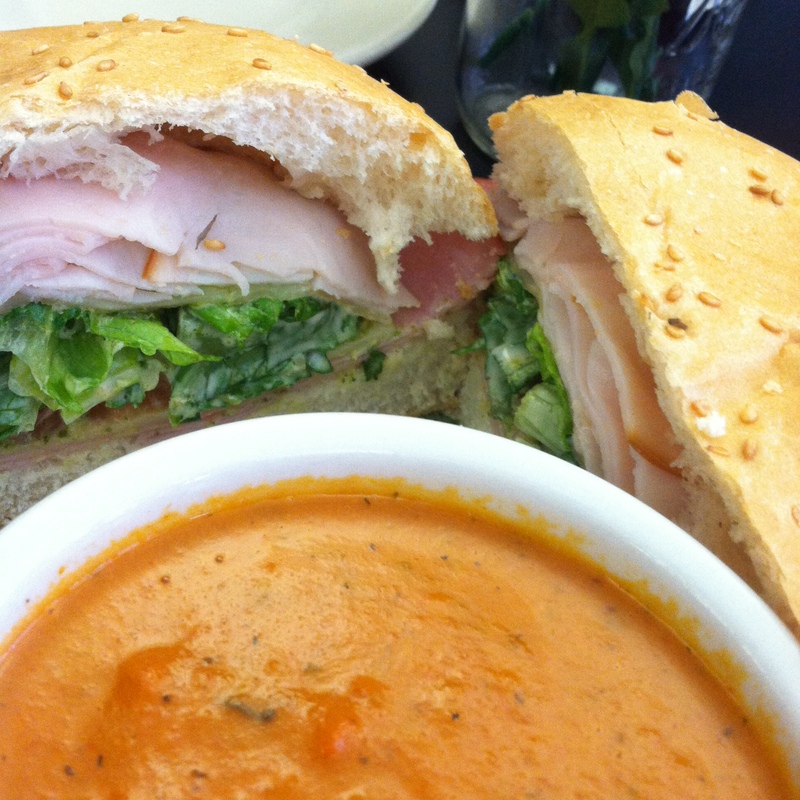 Everyone had the soup with their sandwich. One of the best tomato-based soups I’ve ever eaten. Its bisque-like consistency exploded with the flavors of roasted garlic, basil, and chunky tomato. We finished the meal with good coffee and some of those pastries. Jo had to have one of those yummy brownies topped with caramel. This is a neat little place where quality is a priority and where you’ll never feel rushed to leave. Donner-Peltier Distillers is Thibodaux’s first craft distillery. They offer tours and tastings six days a week. It is located in the middle of a sugar cane field. We decided to take the tour and tasting to bridge the gap between lunch and dinner. For $5, you get the tour, a cocktail featuring their products, and a taste of all their spirits, which include various rums, a vodka, a gin, and a small batch bourbon. The Oryza vodka and gin are made from 100% locally grown Louisiana long grain rice, while the Rougaroux rums are made with pure black strap molasses and raw cane sugar. All of the hand-crafted spirits are top notch. I especially like their Oryza gin, which uses the rice vodka as the base spirit, then blends botanicals that include juniper berries, Louisiana citrus, pink peppercorns, and cantaloupe. The tour guide made us cocktails we could sip on while we took the tour. My kind of tour. After the tour, you are able to buy their spirits, t-shirts, and other items pertaining to the distillery in the gift shop. 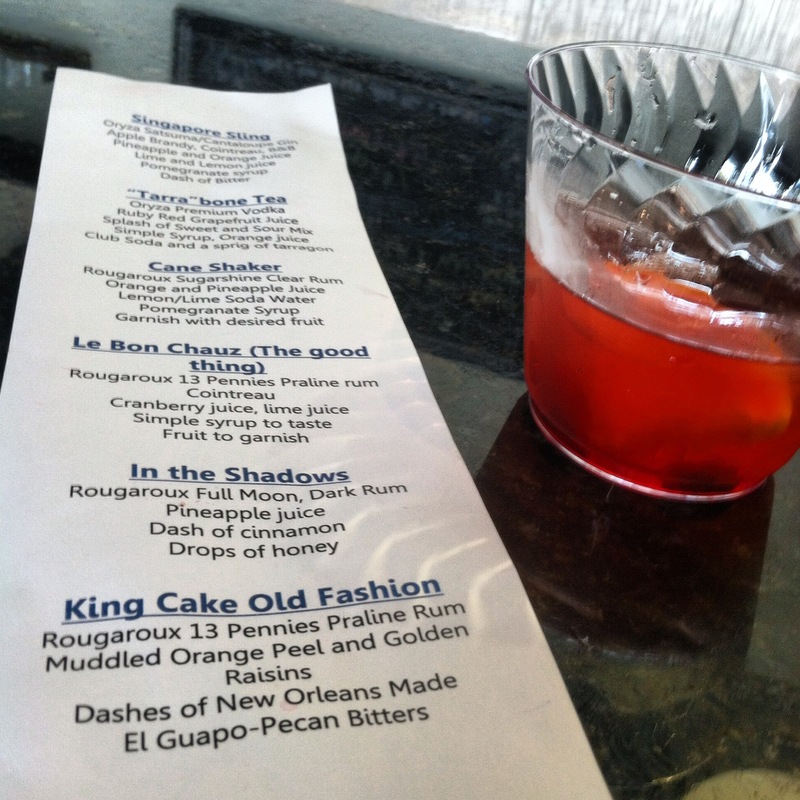 If you are ever in Thibodaux, it’s worth your while to check out Donner-Peltier Distillers. Now we’re headed to Houma to have dinner at Cristiano’s. With the weather being so nice, we decided to eat outside in their lovely courtyard. A decision was made to go family-style with the appetizers. 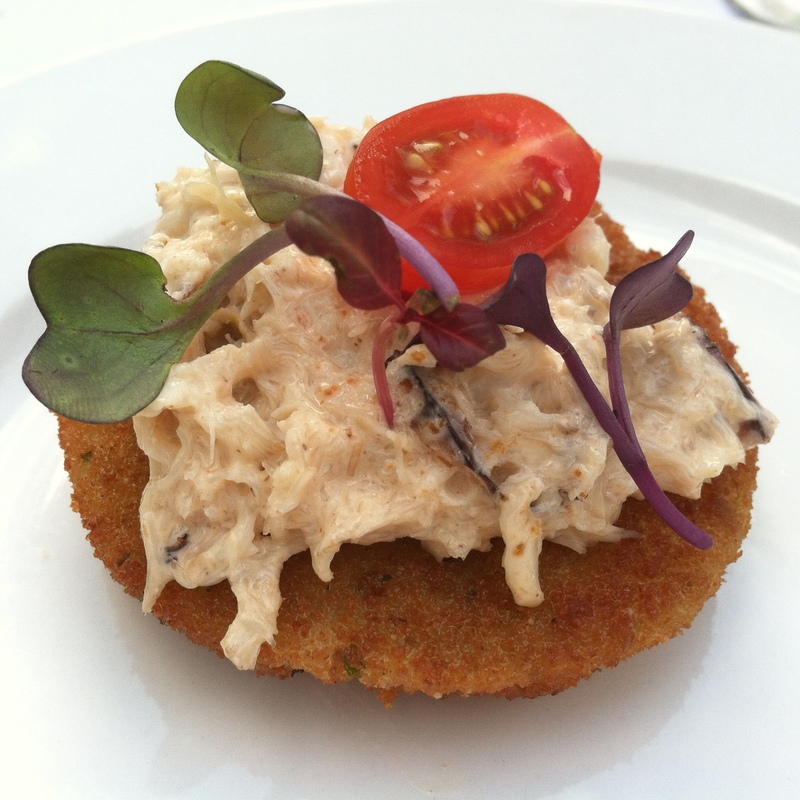 We all shared fried green tomatoes topped with a crab meat remoulade, grilled oysters, and a chacuterie plate. 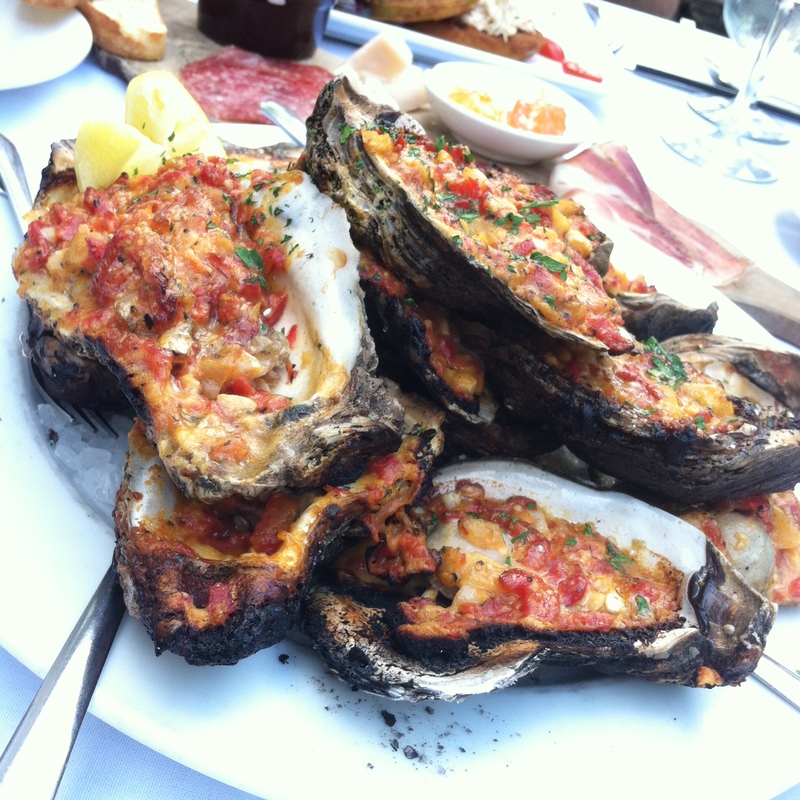 The oysters topped with red peppers and other veggies were definitely the crowd favorite. There was also excellent gargonzola cheese on the chacuterie plate. 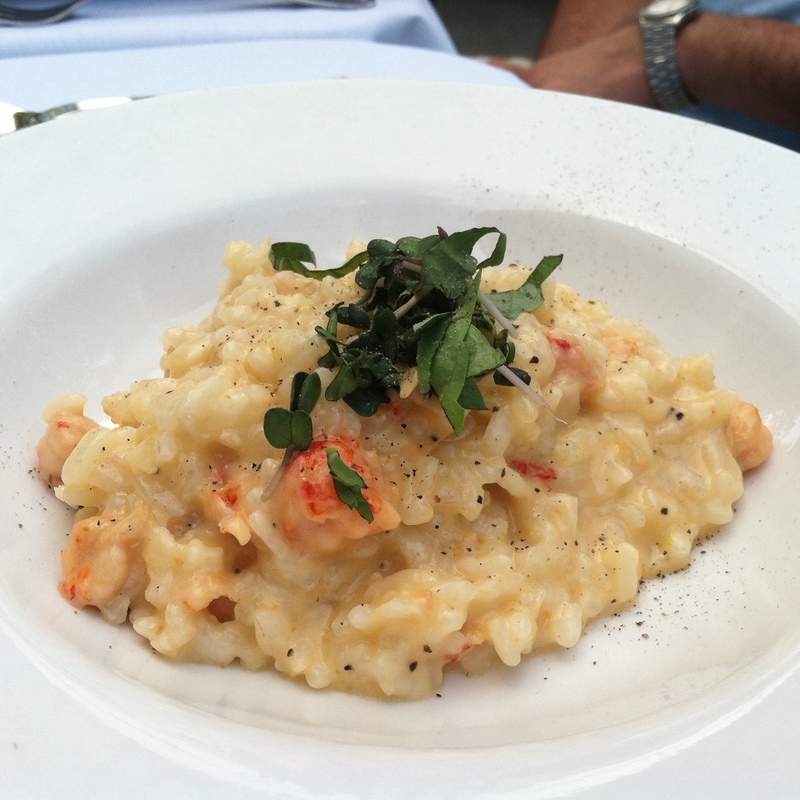 For me, the best plate of food for the night was the entree of creamy crawfish risotto. Other entrees included a nice sauteed hake, gnocchi with bacon and pork shavings, and a shrimp and crab pasta dish with jalapeno and lime. A medley of gelatos was one of the desserts. 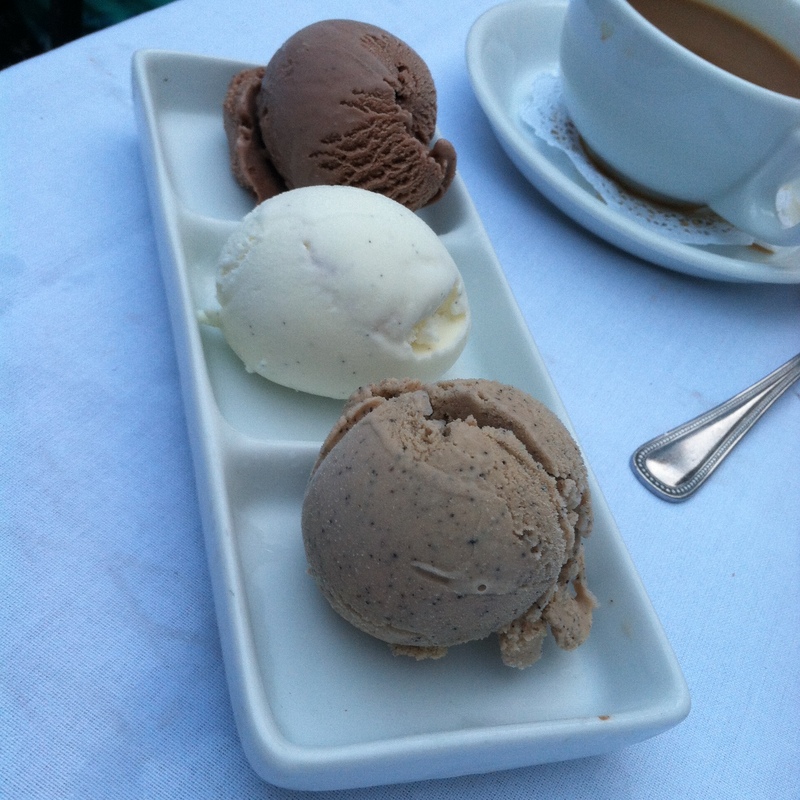 The flavors included vanilla bean, espresso, and hazelnut. There was also a creme brulee, chocolate mousse with blackberry compote, and a cheesecake trio. The house red wine, made predominantly with sangiovese grapes was enjoyed by all. The reasonably priced red had a good body and smooth finish. Our waitress and service were on par with any great fine-dining experience. We had a great time, great conversation, and a lot of laughs which led to a dinner that lasted over three hours. The night ended with a complimentary round of tasty tawny ports by the owner of the restaurant. A great ending to a wonderful night and a wonderful day. 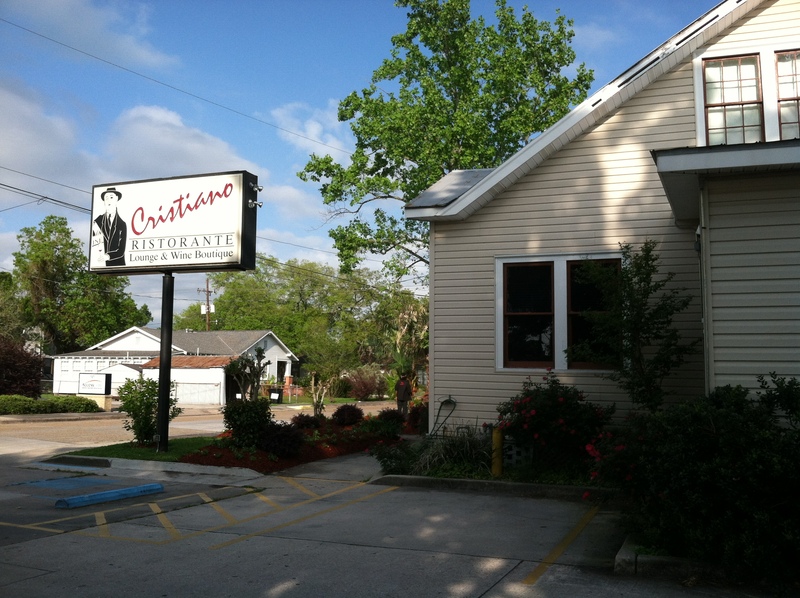 Cristiano’s is definitely one of the best restaurants in Houma.